3. URL of spoof website disguised by an image link. 4. Website traced to MARSCIANO, Italy. 5. Email uses embedded coding to 'lock' itself making it difficult to copy text or investigate.
" 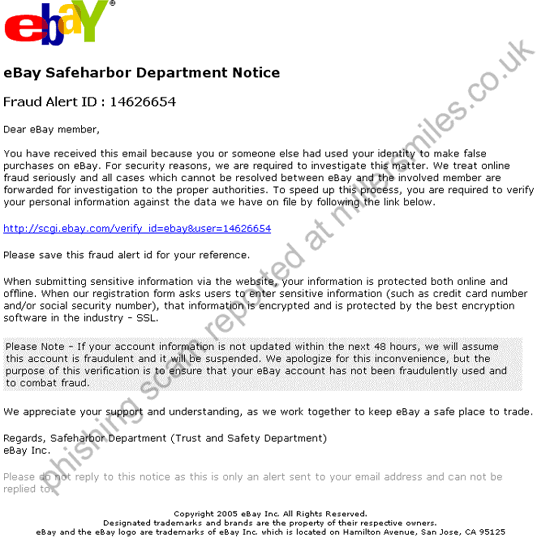 Dear eBay member, You have receieved this email because you or someone else... "